We may all think we are headed into the sunny uplands of growth and prosperity, but this year could see more volatility than we bargained for. 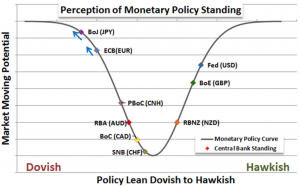 One area of concern is governments’ monetary policies and the impact they have on foreign exchange rates. Low energy costs, low inflation and cheap imports on the back of slowing emerging market growth and the strong dollar have made us feel as if things are finally going our way. Not to pour cold water on a number of encouraging trends, but that strong dollar is already causing problems and those problems will get worse. It’s not just exporters such as Caterpillar and Boeing that can be hurt by a stronger dollar, domestic firms also face increased competition from overseas suppliers buoyed by a lower currency. The steel industry is a case in point. Broadly speaking, for the economy as a whole, there is likely to be more winners than losers, but it will be highly selective and firms exposed to foreign exchange affected costs will face the biggest challenges. Most economies will face gradual monetary tightening before the end of the decade, but the US could lead the rest of the world by at least a year. Many economists predict that as the Federal Reserve starts to raise rates in the second half of this year. Even other strongly growing economies such as the UK are not likely to join in raising central bank rates for at least a further 12 months. That will exacerbate the US dollar’s strength, particularly against economic regions like the European Union, which is embarking on quantitative easing to the tune of €60 billion per month up to a current limit of €1 trillion, but some are already predicting could reach twice that amount. The problem for the EU is that quantitative easing in the US and UK, where it had limited impact on the real economy, worked only because rates were relatively high. In the EU it is supposed to drive borrowing down from levels where it is already barely above zero. 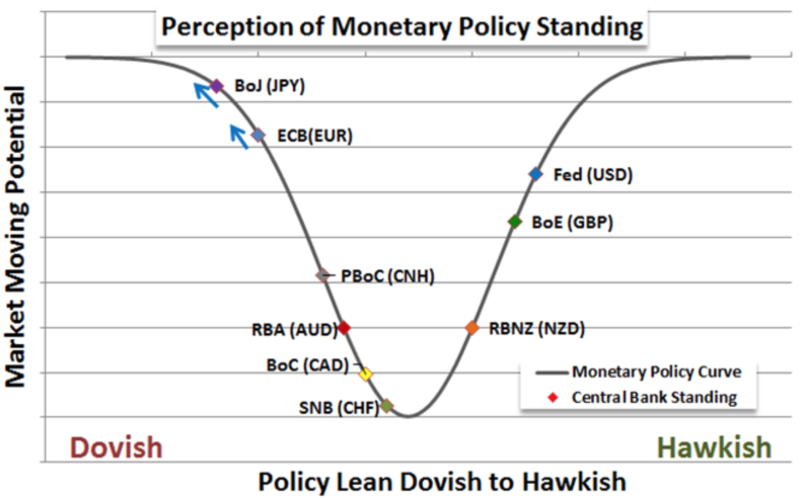 The Fed is by far the most hawkish of the central banks on monetary policy as the above graph from DailyFX illustrates.